First things first. Please do the following if you have these issues and let us know if they resolve them. - If you're running AVG and Chrome, try disabling AVG temporarily and try to access the game. - Clear your browser cache and refresh the page. If the above doesn't fix the issue, then read on. We're trying to get to the bottom of peoples connection problems with the game, but the problem is we haven't been able to get a clear and concise picture of what's going on. We've spoken to engineers over at Yahoo, who host our servers, and they're saying that they aren't seeing anything out of the ordinary. So, we'd like you to look at the information below and tell us which category you fit in and provide the appropriate information and the basic information below. 1. How long you have been playing before it happens? 2. How many instances of the game do you have running? 3. What does the crash look like? White screen? Unresponsive message? 4. Have you tried alternative browsers? 5. Have you tried disabling background activites? 1. Does the lag happen when you do actions like recycling or construction? 2. Does the lag happen when you try to move a survivor? 3. Does the lag happen on certain maps? 4. Does the lag happen on ALL maps? Con it is firefox I am having problems with .I quit playing on firefox due to this . Chrome works well but has lag issues . I can get you some videos of firefox crashing and disconnecting if you want and upload them to youtube because it happens a lot on firefox . it happens even running 1 instance of the game . I only run more than 1 account if i am trading weapons between those accounts . tbh to me shockwave is more stable than flash . I will not try any other browsers other than firefox or chrome . If i cant get playing with one of those 2 then i will not be able to . Thank you for making this thread . Rainwater thanks for the feedback. But please re-read and follow the instructions. ok i will go play on firefox and tell you what happens . 5. Have you tried disabling background activities? While trying to prevent crash/lag/disconnect is admirable. personally i would prefer an alternative (crashes are going to happen in a browser game), that when/if the crash/disconnect happens, the survivors are returned to base with no penalty and no reward, i.e. no kills have been counted, no xp gained, no injuries, no access to the location that was being searched/raided (for a cycle!). Losing survivors because flash/internet can't handle killing a few infected shouldn't mean a loss of gameplay. some of us are time limited and playing before and after work/school is all we are able to do. so losing a team and thus the opportunity for a raid/scavenge is a big impact on our daily play. this would also fix one of the last remaining exploits, that currently enables players to complete tasks/bounties without ammo cost (and if player has a DMU, with almost no time penalty). leaving via one of the two official means (time out or clicking the house) should be the only way any requirements are validated and recorded (nothing should be shown completed until the player is returned to the compound). Edited by iriquoi pliskin, 11 March 2015 - 11:00 AM. This brought an error message from Adobe saying application in use. I Googled that issue and followed instructions to check flash players active in chrome:plugins. I found I had both Adobe Flash and Adobe Shockwave, at which point I remembered installing and using Shockwave a few weeks ago because someone told me it reduced lag - and I can confirm Shockwave did in fact bring much better gameplay. Both were disabled, so I enabled Shockwave, tried connecting to the game and got a different screen telling me I needed Flash Player. Game loaded without any further problems. I couldn't tell you if this is isolated to just Chrome because I don't use any other browser. But using Flash instead of Shockwave worked for me. Same problem here,i have try everything and nothing work. Armorgames is dead as is Facebook. 'Connection Error' on both. Edited by Harpago, 12 March 2015 - 10:57 PM. Dell Inspiron; AMD A-4 5300 APU; 3.40 GHz Graphics. Primarily Chrome. Switched to Firefox and IE to see if it was a browser issue; no changes. 5. Are you connecting with a work / school / public internet connection? Yes: Avast. I disabled it momentarily to see if that was the problem; no change. 1. Where are you getting stuck? "Connecting to Server. 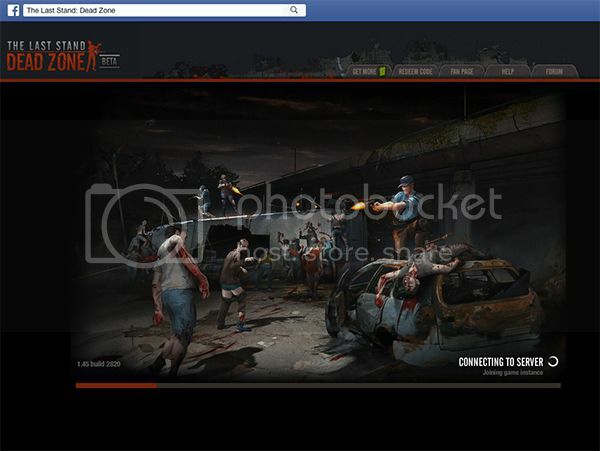 Joining Game Instance." About 1/5 of the way loaded when it times out. 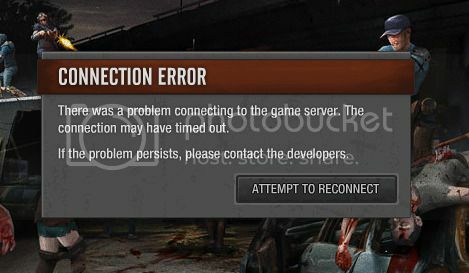 "Connection Error. There was a problem connecting to the game server. The connection may have timed out. If the problem persists, please contact the developers." I have also cleared my browsing history, cookie cache, hosted app data, and content licenses. Still cannot load the game. Having this problem on Yahoo Games, ArmorGames, Kongregate, and most importantly, Facebook. Game does not progress beyond the introduction screen. 6. Do you have any anti-virus software running? Microsoft Security Essentials, problems persist even when disabled. 7. Do you have any download managers running? None owned, installed or otherwise operating. This persists on two different but identical (same hardware and OS) computers, on both Chrome and Firefox, and on all game servers even after modem resets, computer restarts, cache cleanings, and disabling all scripts and other programs. I have a similar spec desktop (Ethernet connection) and the same things happen on that. I don’t get any flash crashes at all when I play other games. I haven't been able to log into my game(s) for going on the 3rd day. both my Last Stand game on yahoo and facebook, all that happens is it says connecting to yahoo or face book but never does it just keeps spinning around and around. i dont even get the loading bars at the bottem. i have been playing for almost a year, i havent complained that when i sometimes buy keys to open boxes they both disappear and i get told it cant be opened at this time, i dont complain when i get raided (that's part of the game) that the raider destroys EVERYTHING even toilets and it can take days to collect the componets to fix everything (bolts and nails). i dont complain that i'm always being disconnected from the server almost always during a mission and i lose everything i just found and the EXP. points. Its not my computer, i just bought it a few months ago and its not the connection, i have cable and a mobile hotspot. i dont know what to do and i'm at a loss. i meet all the requirements to play but cant play. Help please. ok i now can play if i'm on mozilla/Firefox, but now (just a few min ago) i can't get past the loading game (joining game instance) on both my facebook and yahoo acounts........it's been going better then before by switching to Mozilla/Firefox but its still slow to load the compound but the play is better. please advise what i should do. Edited by Lady Orlith, 30 March 2015 - 11:00 PM. I've literally just downloaded an Adobe update which seems to have somehow merged Flash and Shockwave player together (I looked at "chrome://plugins" - Flash and Shockwave used to be separate, I had to disable Shockwave to play, but now Flash and Shockwave appear together as one). I can now play on Chrome without any issues. I guess the issue is purely Flash/Shockwave related, dependant on who uses what with whichever browser they use. I myself had some connection issues today - the game wouldn't load up in facebook whilst using chrome. It would not get past the "Connecting to facebook" screen. It did work in Firefox though. That told me that there is something about what chrome that wasn't playing nice. Clearing my cache didn't seem to help. Changing the flash player that I was using did (I had a debug version of the flash player 16 - I switched it to the updated normal player version 17). I don't know if that will help anyone else, but it is that sort of experimentation and explanations that will help us track down issues. That is why Con has asked you to fill out those specific details at the start of this post. I just thought to bring that part up cause Ghost Recon just went against what you said... I never run into any problems, but I did get stuck at "Loading Assets" at one point refreshing fixed it though. Edited by SpicyBlobs, 17 March 2015 - 03:18 AM. I've been paying a bit more attention to the performance issues in the last week. In addition to my previous post, I'm having issues on the big maps, military fields, big police stations etc. As soon as I launch a manual mission, all actions are laggy for these big locations, and this is where most of the flash crashes happen. Haven't had any performance issues on the smaller locations. 3. What does the crash look like? White flash crash screen with ? I had windows 7 Dell XP and the same things happened on that one. I don’t get any flash crashes at all when I play other games. you have a nice product here, for those that like strategy and tactics without twitch play. Why don't you join other communities to interface with, like STEAM, Origin, ARC, Glyph vs yahoo and browser. "This War of Mine" is calling me from the depths of my frustration. I may listen to the MIghty Jingles and Fly War-Thunder Angry, just to calm down.